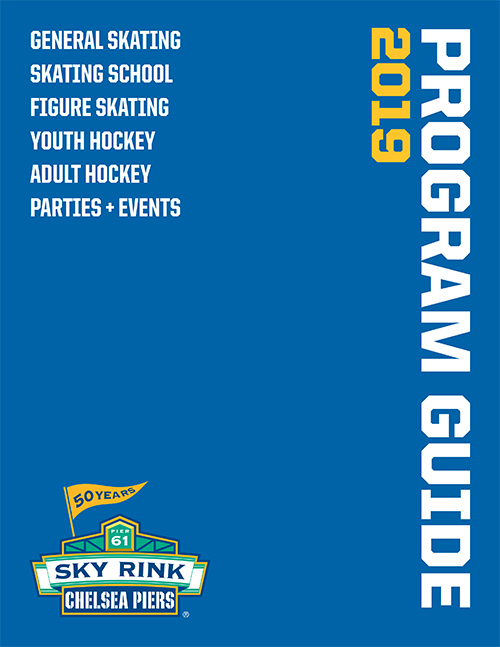 Sky Rink is the base of operations for an international group of coaches, some with national, world, and Olympic qualifications. These coaches provide private and semi-private lessons in recreational skating, figure skating, and hockey, and are available to skaters of all levels. Coaches are available for private and semi-private lessons for beginner and lower level skaters during General Skating sessions. More advanced figure skaters, ages 7-17, may make arrangements directly with a coach for private lessons conducted during Junior Prep, Elite Prep or Freestyle sessions. Adult Figure Skaters of any level may make arrangements directly with a coach for private lessons taught during Freestyle ice sessions. Hockey players of all levels may arrange to take private or semi-private lessons during Private Hockey Lesson Ice sessions. All aspects of private and semi-private lessons, including rates, vary by coach. For further information, please call the Sky Rink Front Desk at 212.336.6100, ext. 0, at least 24 hours before your desired lesson.